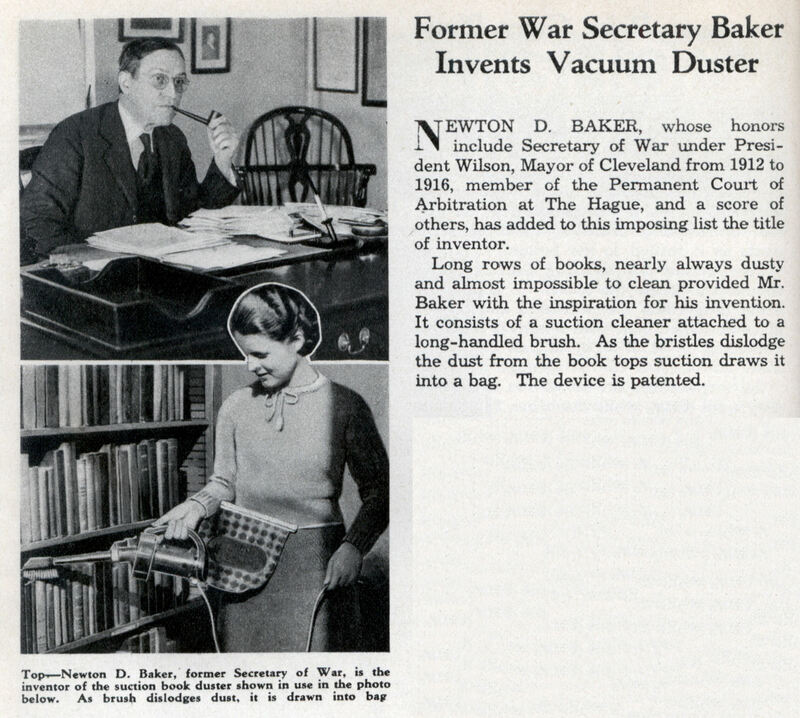 NEWTON D. BAKER, whose honors include Secretary of War under President Wilson, Mayor of Cleveland from 1912 to 1916, member of the Permanent Court of Arbitration at The Hague, and a score of others, has added to this imposing list the title of inventor. Long rows of books, nearly always dusty and almost impossible to clean provided Mr. Baker with the inspiration for his invention. It consists of a suction cleaner attached to a long-handled brush. As the bristles dislodge the dust from the book tops suction draws it into a bag. The device is patented. I don’t know how weird this is: he’s just invented the Dustbuster. Seems more like an Origins article. More of a “Dust Devil” I think. By the way, nice maintaining world peace work there Newt! It’s not weird because of what he invented, it’s weird because they pointed out who he was. If I would have been the old War Secretary I would have kept this hush hush, or used an alias! That’s embarassing stuff there. 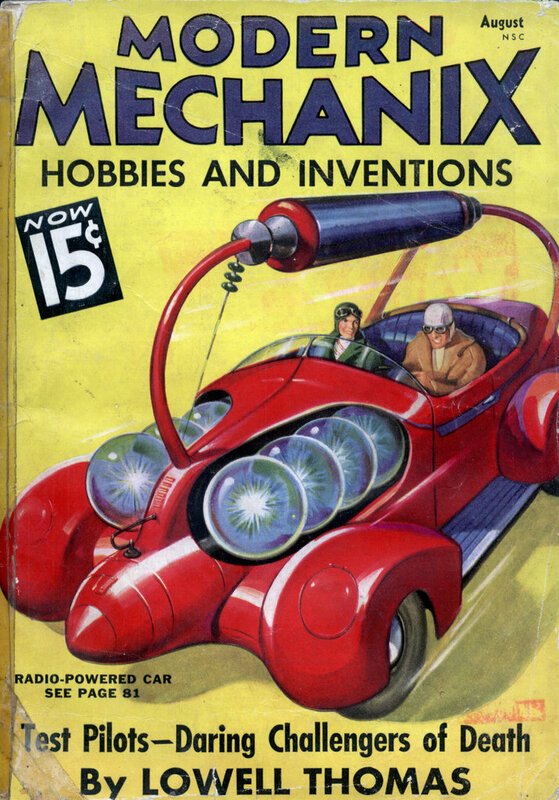 I wonder if Mr. Baker invented this while daydreaming, instead of seeing what the Germans were up to during WW1. Yes but did he dream this up while Mayor of Cleveland, Secretary of War or member of the Court of Hague? ?